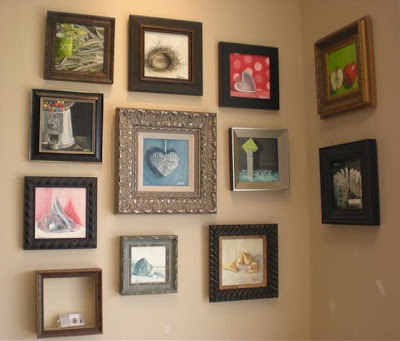 Here are some of the small 8" x 8" paintings that are for sale at THE GREAT FRAME UP in Parkville, Missouri. Thanks to Eric, Jason, and Randi. They're great people. These look great! 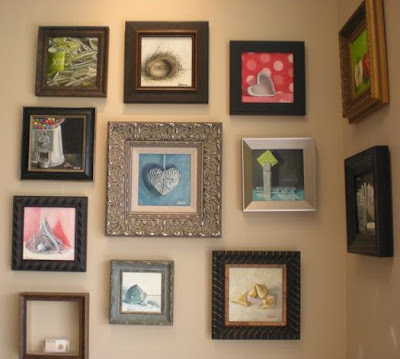 I am impressed with the framing jobs - I love this! Thanks for stopping by my blog. I must say I'm looking forward to hearing about your eventful month.